8 oz = 25 Servings @ 3t (9g) daily. Our Gelatinized Sundried Red Maca Root Powder is carefully and consciously grown, processed and handled. It comes from an organic farming cooperative in and around Junin, Peru. We work only with producers who own and manage their lands at a local grass roots level. The cooperative of farmers is committed both to organic farming and to producing only the highest quality Maca products. 8 oz foil lined, double sealed, food grade pouch contains 25 individual servings at 3 t (9g) each. Our Gelatinized Sundried Red Maca is higher in phytonutrients than our other Maca products, and has a very positive effect on hormone health and balance. Some research has also indicated that Red Maca has an exceptionally positive effect on women's fertility and hormone balance and on men's prostate health. Please note that results may vary from person to person. 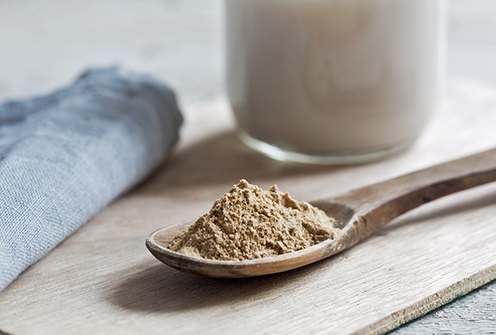 Compare all of our Maca powders here. I guess Maca Isn't for me. Willing to try the liquid next though. We guarantee all of our products to be fresh and perfectly packed and delivered in great condition. If you ever have any problem with any of our products, let us know and we'll find a solution quickly.